Car accidents happen every day on Florida roads, but sometimes they are attributable to other factors besides driver inattention or mistake. In uncommon instances, a defective part in your automobile can lead to malfunction, which in turn is very likely to lead to accident and injury. If you have been injured in a car accident and you think a defective automobile or defective part might have played a role, it is important to research the law surrounding these issues before deciding to bring suit. Florida law is strict and specific, but it is still possible to bring suit and win compensation. When you buy a car, you do so with the implied promise that it will perform as safely as an ordinary consumer would expect if used in an appropriate manner. 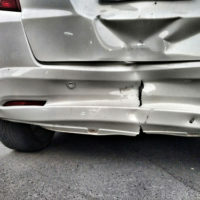 However, defects in parts used or in the way the automobile is constructed can lead to accidents – either defects in the automobile itself, or in parts of the whole. Some of the most commonly seen defective parts most likely to cause injury include brakes, tires, fuel systems, suspension and steering, and even sometimes the body of the automobile. If you have been in an accident and you suspect a product defect might have played a role, it is important to be able to differentiate whether the alleged part had a design defect (in other words, whether it was defective as designed) or a manufacturing defect (meaning <I>that specific part</I> was somehow damaged or defective only). It matters because an alleged design defect has to be laid at the door of the manufacturer, where conversely, an alleged manufacturing defect might be ascribed to fault on the part of a seller, a mechanic, or others who might have encountered the product after it came out of the manufacturing plant. It can be very difficult to establish to a jury’s satisfaction that a defective product caused your auto accident, and in Florida, you also have a relatively short time in which you are permitted to file suit – the statute of limitations on product liability lawsuits is only four years. Still, it is possible to prevail in this type of case, most often using accident reconstruction or other expert testimony, which can establish that the defect existed and that it played a role in your accident. In order to prevail, you must show that the product (the part or the car) was dangerous in its current condition, and that you did not assume any kind of risk knowingly. Generally, if you can show either that the product was unreasonably dangerous as designed (in other words, that the product did not perform as a reasonable consumer would expect it to if used exactly as it should be), or that the product should not have left the manufacturing facility in an unreasonably dangerous condition, you have a chance at prevailing. Still, having a knowledgeable attorney on your side can make all the difference. Auto accidents are often preventable, but if yours was due to a defect in your car, it should have been doubly avoidable. If you have been injured in a defective car, the Winter Park car crash lawyers at Hornsby Law Group can sit down with you, and try to help you determine what your best options are going forward. Call us today at 866-300-5468 for a free consultation.